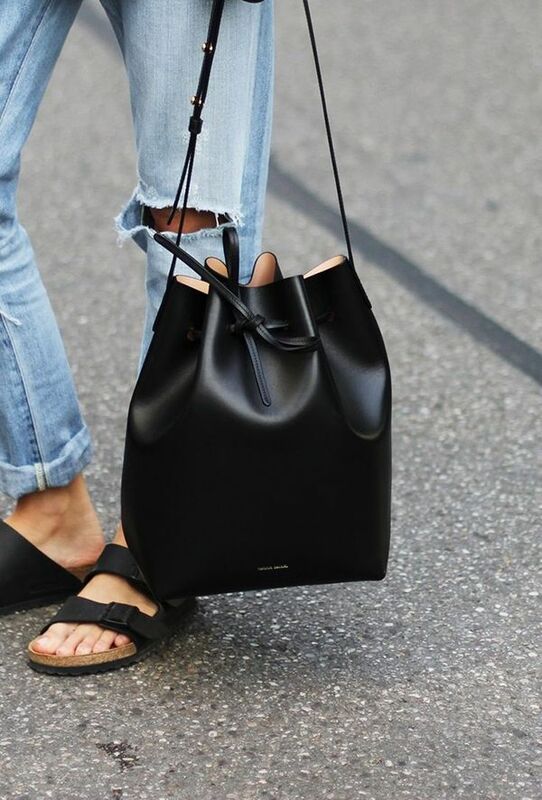 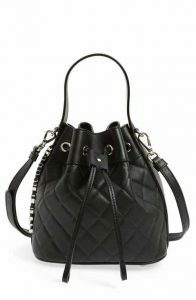 Bucket bags in black are small in appearance but that is not all. 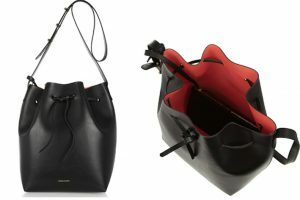 They are spacious and stylish too. 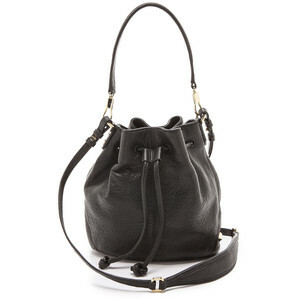 Browsing through the following list will give you a proper idea regarding such bags. 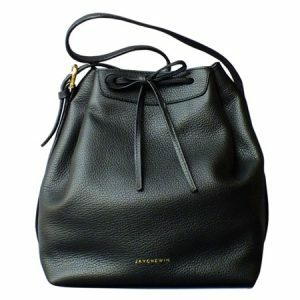 The drawstring feature makes it easier for you to use them without zippers. Designed with both short and long handles, this bag is convenient for you. 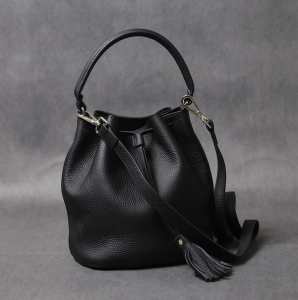 However, the long handle is detachable and you can get rid of it whenever you wish. 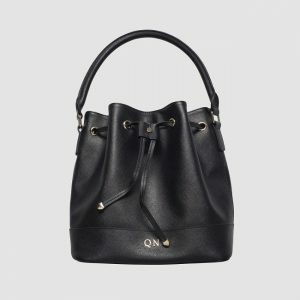 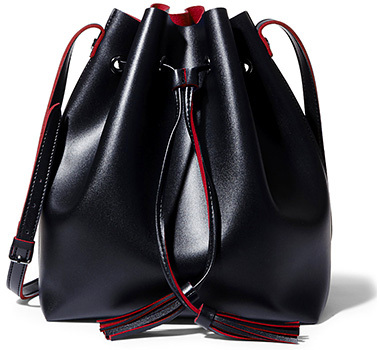 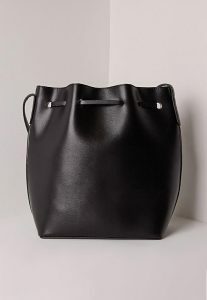 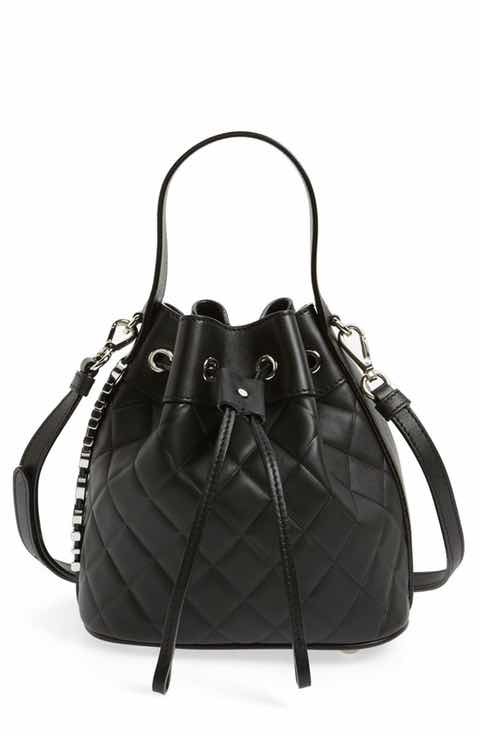 A black bucket bag with a red lining is an attractive option. 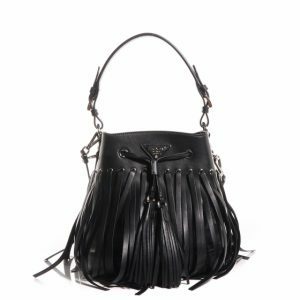 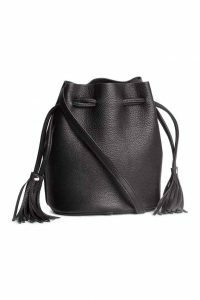 The fringes at the drawstring lend a unique look. 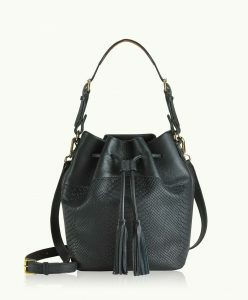 Take it with a denim outfit for a modish appearance. A simple yet elegant bag is what the following image is all about. For carrying it to your work or to a party, this is a suitable one.